From the frigid wastes of Norway we bring you Cvlt Rvne Bold! 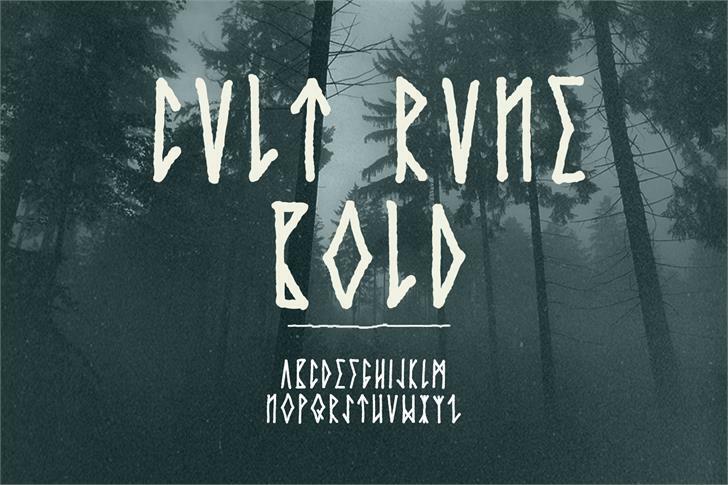 Cvlt Rvne is a hand-drawn typeface designed to merge Scandinavian rune lettering with Southern California graffiti. Upper and lower cases feature different variations of the capital letters. Use of this typeface is limited to holders of a valid commercial license. Cvlt Rvne® Trademark of Out Of Step Font Company.